We’ve been having a lot of fun lately searching up different pieces of architecture and reading lots of books about modernism in general. Obviously some of our favourites are past designers such as Mies van der Rohe, Le Corbusier, Eero Saarinen and the almighty Alvar Aalto. But obviously we’re not just restricted to what’s happened before us, there are plenty of great designers out there who’re producing some stunning residential architecture on a regular basis. So when I came across this short film yesterday I instantly knew it was going to be a good watch, it’s just unfortunate that this is only a trailer, although it may urge you to go to one of their screenings that will be taking place in July. It’s titled “Coast Modern”, basically an independent documentary by directors Mike Bernard and Gavin Froome. They travelled along the Pacific North West coastline from LA to Vancouver, the idea of the film is to showcase the pioneers of West Coast Modernist architecture. From what I can tell they originally planned to put this film together a couple of years back but I think they’ve finally gone ahead and have filmed this properly with amazing angles and stunning image quality. Obviously the houses themselves help since they’re pretty incredible to view, my mouth was literally watering throughout this whole piece at the mix of close-up shots. I love this architecture because it’s the mix of materials and general structure that is captivating, it creates a piece that’s so timeless but at the same time aesthetically pleasing on the eye. I guess the surrounding that’s around it plays a bit part as well. 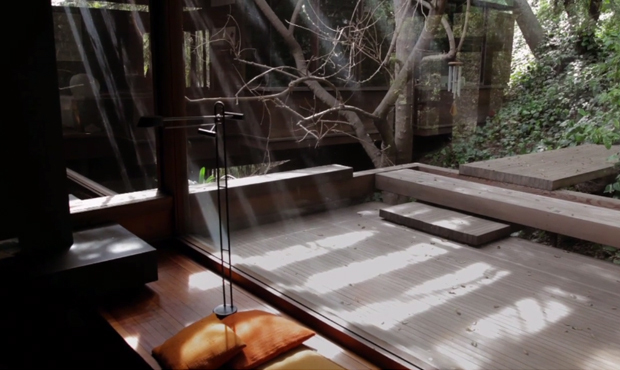 The full film looks to address this specific subject in a lot of ways, looking at the light and space of a classic Modernist house and how it works in collaboration with the natural environment. In the little bio for this documentary they point out that Richard Neutra’s son Dion said that the way to live is to have ‘the comfort of being inside, yet you have the feeling of being outside’, I think that’s a pretty captivating sentence and resonates with me in a big way. This is the biggest part of architecture in my opinion, taking the inside outside in a sense and merging the two together seamlessly. Easier said than done. This piece had its world premier at Vancouver’s Doxa Festival in May 2012 and looks to offer more screenings throughout July in both Toronto and Vancouver. It’s a bit gutting that this isn’t being shown to a wider audience, hopefully they will offer it up on their website soon for purchase of some sort, would be cool to watch the whole thing but I don’t think I’ll be going across to Canada any time soon. If you’re already situated there I’d definitely recommend going, it looks like a classic and will be very informative for those desperate for inspiration. Watch the trailer below.